People are more or less familiar with biometrics especially in its use in security thanks to the scenes found in spy and action movies like Mission Impossible, and the recent reboot of Charlie’s Angels. There was a staple scene where Dylan Sander’s, one of Charlie’s Angels had had to impersonate someone to break into a heavily guarded facility that was secured using several biometric identifiers – iris recognition, fingerprint, and gait. Fans of spy movies would be happy to know what was once just limited to movies and spy novels are now a reality. Biometrics came from the Greek word bio which means life, and metric which means to measure. So, biometrics as defined by the Webster dictionary as measurement and analysis of unique physical or behavioral characteristics (such as fingerprint or voice patterns) especially as a means of verifying personal identity. Biometrics is already in use every day in ways that might be surprising to you. Social media like Facebook uses facial recognition so that the application as a way so that people can be ‘tagged’ in photos. Smartphones like the iPhone and Samsung that uses facial recognition and fingerprints instead of passwords to access the phones. Airports like the Changi airport in Singapore uses facial recognition for check-in kiosks. Industries like immigration, defense are also using biometrics. Unexpectedly, the construction industry has taken to facial recognition to help facilitate its payroll and attendance. It is a pleasant surprise that an industry that’s only starting to find the best RFI software, as well as the best project management software programs to use, take on to technology like biometrics so easily. There are several types of biometrics that are already in use in different sectors, but all these types fall into two categories: Physiological Biometrics, and Behavioral Biometrics. Let’s briefly discuss these two types and the biometrics that fall under them. DNA: This chemical biometric relies on DNA analysis to identify the individual. People usually see this being used by forensic detectives in crime scenes, or in proving paternity. Ear: Using the unique ear shape to identify an individual. Facial Recognition: The use of a person’s unique facial pattern to identify an individual. Systems using facial recognition uses local feature analysis or eigenfaces. Fingerprint Recognition: Perhaps the most common and recognized biometrics which uses the fingerprints or the ridges and valleys to identify someone. Speaker Verification or Authentication: You might recognize this type of biometrics because this is used by banks as a means to provide access to telephone banking. This type of biometrics operates on a 1:1 match meaning a speakers voice is matched to a voice print. Speaker verification works with the user’s knowledge because it typically requires the user to provide a voice print or a voice model. Gait: The use of a person’s unique way of walking to identify the person. Signature Recognition: This type of biometric is the authentication of an individual’s signature or in handwriting style. There are two types of signature recognition: Static and Dynamic. Static is a visual comparison of a signature against a signature specimen. Dynamic is the capturing of the X, Y, T, and P coordinates of the person from a signing device. As technology becomes more and more advanced, it is no longer enough to use traditional means like PIN codes or key cards to protect or identify the user because they become more and more vulnerable especially in this digital era. More secure means of identifying a person like biometric authentication to ensure greater security in protecting customer and employee data and fortifying places to prevent unauthorized access. No matter which industry your business belongs to, here are some ways that biometrics can benefit you and your business. Industries that have a large number of people like big construction firms can benefit from using biometrics in timekeeping. Biometrics can prevent people from clocking in for somebody else by using traditional key cards. Biometric authentication can provide correct time logs, and can result in fewer mistakes – after all, it’s difficult to fake a face or a fingerprint when logging in. Biometrics are especially effective in securing access to buildings as well as to high risks areas. Unscrupulous individuals who want to enter a secured area will have a hard time reproducing the necessary biometrics needed to gain access. Likewise, biometrics will ensure that there will be fewer security breaches by employee error, for example, unauthorized access of an area because an employee has forgotten a key card or perhaps been observed by someone entering a PIN. And, if there was a breach caused by an employee, biometrics provides a well-defined auditable trail of the people who have been in and out of a certain location. Again, you can’t duplicate body parts, so the data obtained from the biometric logs should be true. Using biometrics frees employees from the burden of having to carry keycards and remembering passwords and pins. People have a tendency to forget passwords and ID cards which can be an annoyance, not to mention a security risk. After all, it’s impossible to forget a body part. Biometric scanners although there is an initial investment involved in the installation, it can significantly lower your costs in the long run. For example, for fingerprint biometrics, you only need to invest on a biometric scanner, and then the upgrades will only generally come in the form of software upgrades. As an added bonus, you can further lower your costs and be environmentally friendly by not constantly buying, maintaining and replacing plastic key cards. 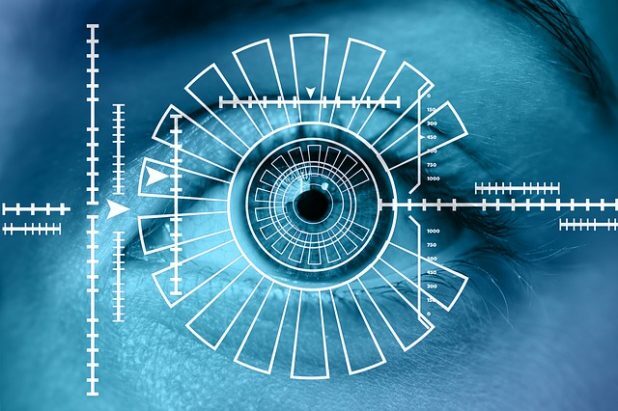 Biometrics certainly has its flaws and is not a cure-all solution to a company’s security and timekeeping concerns, but for sure, it is a good direction to set off. Because no matter how much Charlie’s angels would like you to believe that it’s easy to copy a person’s biometrics, that area thankfully, still belongs to the world of make-believe, because your face, your fingerprint, even the shape of your ear is unique and not easily copied. With biometrics, it is certainly become possible to judge a book by its cover. Noman Aqil is an entrepreneur and CEO of Domains Highway. He works with companies to boost their search engine positions, and ensure an increase in customer engagement and revenue. Most Exciting Benefits of Outsourcing Software Development for Your Business!